Cloudflare`s serves CAPTCHAs when browsing websites with this alpha release but not with the stable release, why? That's because Cloudflare is treating the current stable specially and they have not adjusted so for the alpha yet. We plan to get this fixed soon. It does surprise me that the UA has been changed in this release since that makes it stand out from stable Tor Browser as well as (presumably) Orfox. Tor Browser used to always give the same user agent indicating Windows 7 regardless of the true OS, but now my user agent does show my OS. This as a known issue and it is tracked in ticket 26146. Considering that the OS is leaked in other ways too and that there are many other higher prioritized tickets concerning the release of the new Firefox-60-based Tor Browser, it could take a while to have this corrected. Cloudflare always CAPTCHAs me, even when I'm using the current version of Tor. Thanks a ton as well for not forgetting about SelfRando! Very nice update, it's all running good and smooth, but I go to panopticlick.eff.org and the shocker comes when seeing that my user agent LEAKS MY OS even with JS disabled o_0 PLEASE FIX ASAP!!!! NEEDS TO BE SET TO WINDOWS!!! Regarding the User Agent that's expected as we hardly can hide the OS differences anyway and spoofing the User Agent has dramatic usability penalties depending on the platform. E.g. if we'd use the traditional Windows UA for Tor Browser for Android then all mobile users would suddenly get desktop pages on their phones essentially breaking the browsing experience. Another example: It turns out that Google Docs break for Mac users as the respective Ctrl key is not working anymore. So, the idea was to just report the OS and give up spoofing it in the User Agent. I am not sure about the architecture, though, yet. We have https://trac.torproject.org/projects/tor/ticket/26146 for the whole discussion. 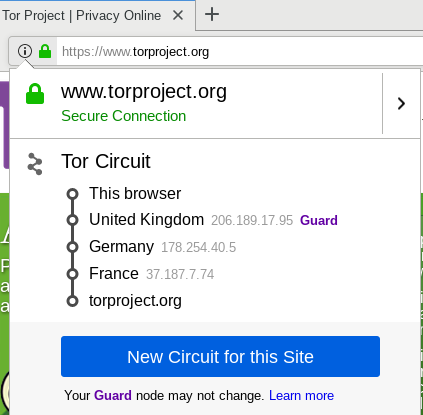 Regarding the RequestGuard error: I Opened https://trac.torproject.org/projects/tor/ticket/26545. I can understand the reasoning when it comes to mobile, but why just give up the spoofing among desktop OSs just because it's imperfect? I doubt most websites use the advanced OS detection techniques - I've been using Tor Browser for years and all the websites that used OS detection thought I was using Windows (which is not what I actually use). I'm sure many 3rd party trackers themselves are more advanced and detect both the actual OS and the spoofing however I doubt a lot of them penalize the user somehow for it. - incorporate ua spoofing into one of groupings in the security slider? No, the security slider is for *security* trade-offs and has nothing to do with enabling or disabling fingerprinting etc. (in general *privacy*) features. We won't mix both. True. As mentioned in the trac ticket, while font fingerprinting defenses are not perfect, they're perfect enough for JS disabled users and a bunch of other sites and trackers that don't employ OS detection in the first place. The solution ought to be: "Hey let's ameliorate font and OS fingerprinting defenses! In the meantime keep the UA the same since it's simple to do!" rather than the defeatist "Look, we will always lose, we can do nothing, put fire in your clothes and reveal your OS to everybody". We ship with whatever Firefox ships by default. If the user wants to customize their Tor Browser it's up to them. However, please note that those customizations might make it easier to fingerprint users. The built in light and dark themes shouldn't affect fingerprinting as AFIK they are based on the old personas system. Changing the density probably would due to window size changes. But never mind, they are there. It just took a 2nd restart of TB for them to appear for some reason. I'm just a casual and regular user of Tor Browser but I'm so excited about this update. Another humongous THANK YOU from this global citizen. I miss my green onions! Panicking all the time that my browser has slipped out of TOR. 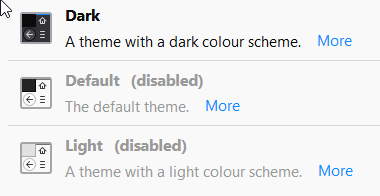 Can you change the gray onion icon to a colored one? It disappears in my peripheral vision if its the same as everything around it. Green for on? Thanks for the feedback, noted. We are trying to adapt our icons and logos to the new Firefox Photon design and this alpha is the first start in doing so. We'll see how we adjust things so that hopefully everyone will be happy about the final result. "that hopefully everyone will be happy about the final result." Thank You to everyone who has been working so hard to get us up to speed w/ 60. I can't believe it's finally here! I'm sure you'll get a lot of complaints about the UI especially by the time September rolls around, so be ready for that. Anyway, I just wanted to say "Thank You" and keep up the good work! Good afternoon! The new design of Tor 8.0a9 is absolutely disgusting! The new version of Tor threw me all the settings, plus required the reinstallation of all add-ons! This is swinishness! Thank you for disrespect! Which new design do you mean? The one that Firefox ships? That's hardly a thing we can change. Tor Browser is not touching any of your customizations. In particular, it does not touch any of your extensions. Could you give us some steps to reproduce your issue? In particular, which extensions got lost during the update? On which platform? Etc. > Full Sandboxing Support for Windows: We are able to provide full content sandboxing support for 64bit Windows bundles now, thanks to the work done by Tom Ritter. You need to enable SEH like in libstdc++ to say "Full Sandboxing Support". SEH support is orthogonal to full content sandboxing. But, yes, we should think about adding the former to our 64bit builds. OMG!!! Finally, it's added to the official post! Keep up this best practice! > We ran into issues while creating the incremental update files. Full update got stuck at "Connecting to the update server..." after partial update failed. 'About Tor Browser' menu didn't show any update in progress. After pressing 'Hide' button, TBB started to dl the update! But got stuck at 15 MB when I opened 'About Tor Browser' menu. After closing and reopening it, it showed it had started to dl from 0 MB. That looks like some incompatibility between your and FF's update mechanisms. We are using Firefox's updater. I guess you have trouble with your network connection which makes it hard to download the big updates (even the incremental ones are several dozens of MBytes this time). Not sure what we could do about that, though. Well, that indicates that a download is already ongoing and I think it's not unreasonable to not allow download a second update in parallel. Or are you indicating there is a bug somewhere else? If so, could you give us steps to reproduce it? It got stuck downloading - that's all what a user see. What makes it think it's downloading something twice is unknown. I guess that's https://trac.torproject.org/projects/tor/ticket/26514. It should work eventually but for some reason the update is failing intermittently. Could you report back when you get the update properly applying at last? It is a clean 8.0a7 -> a8 ->a9, no obfs4 or anything. Updater logs that hashes match every time. Deleting UpdaterInfo folder doesn't help. Looks like a race condition as it doesn't happen on slow machines. It is unmaintained and the original maintainer therefore asked us to stop building and distributing it. See: https://trac.torproject.org/projects/tor/ticket/25540. The latest version of this file seems to be v. 10.0.15063.675, please, update. You mean that's the latest version Firefox ships? Because we think about following Mozilla in what they ship in ESR 60. No, that's the latest security update of 15063 branch. Firefox ships 10.0.15063.674. Why do you think about following Mozilla in what they call security? It's unacceptable for security-conscious software. And it is solely your responsibility to provide security updates for all bundled software you ship. I created https://trac.torproject.org/projects/tor/ticket/26650 to move forward here.